Forbes reports that the International Monetary Fund is laying the groundwork for a global 10% Wealth Tax. Not an income tax...A Wealth Tax. Own property? Savings accounts? IRAs 401(k)s? If you were foolish enough to save and invest for your retirement well... Hello Sucker! The International Monetary Fund (IMF) quietly dropped a bomb in its October Fiscal Monitor Report. Titled “Taxing Times,” the report paints a dire picture for advanced economies with high debts that fail to aggressively “mobilize domestic revenue.” It goes on to build a case for drastic measures and recommends a series of escalating income and consumption tax increases culminating in the direct confiscation of assets. Note three takeaways. First, IMF economists know there are not enough rich people to fund today’s governments even if 100 percent of the assets of the 1 percent were expropriated. That means that all households with positive net wealth—everyone with retirement savings or home equity—would have their assets plundered under the IMF’s formulation. Second, such a repudiation of private property will not pay off Western governments’ debts or fund budgets going forward. It will merely “restore debt sustainability,” allowing free-spending sovereigns to keep tapping the bond markets until the next crisis comes along—for which stronger measures will be required, of course. Third, should politicians fail to muster the courage to engage in this kind of wholesale robbery, the only alternative scenario the IMF posits is public debt repudiation and hyperinflation. Structural reform proposals for the Ponzi-scheme entitlement programs that are bankrupting us are nowhere to be seen. As President Obama himself noted, "If you don't have any fresh ideas, then you use stale tactics to scare the voters, If you don't have a record to run on, then you paint your opponent as someone people should run from." We think that is the perfect explanation for Roxanne's latest mailer. WCPO's Kevin Osborne uncovers questions regarding Roxanne Qualls' work as a real estate agent, specifically selling properties along the Streetcar route allowing her to profit from her votes on Council. Recall that when John Cranley and Chris Bortz faced conflicts between their public duties and their private businesses, they requested Ethics Opinions from the Ohio Elections Commission. Thus far, Roxanne has not requested an opinion on the Ethics or legality of her actions. Osborne discussed the issue with Brian Thomas on 55 KRC this morning, listen below. "It is a reflection of character that you don't go ahead and do the right thing and ask for an ethics opinion upfront." Rarely does a candidate's experience, skills and passion directly align with the office sought. We are excited to announce that Kim Grant is perfectly suited for a position on the Kings School Board. Kim Grant has been a tireless advocate for children as a teacher, mother and activist. 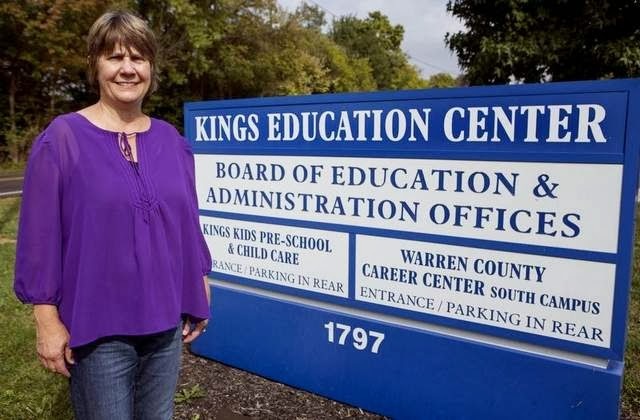 Kim's dedication to excellence in education with a commitment to taxpayer value means that parents in the Kings Schools will know that their children will enter an school environment of learning and safety. Taxpayers will be certain that Kim will keep an eagle eye on the budget and will sound the alarm at the first sight of misplaced priorities and budget irregularities. We heartily endorse Kim Grant for Kings Schools and invite district voters to learn more about Kim Grant here. On Monday, October 14th, the following email (pasted below) was sent to a business owner on Beechmont Ave by the President of the Anderson Newtown Democratic Party President, Bonnie Dunkelman. This business owner made a choice to support Josh Gerth & Andrew Pappas for Trustee and when a John Piehowicz sign showed up twice, the owner sent a note to John asking that he refrain from placing any signs at their location. Below is the email that was sent shortly after that email exchange. The Anderson Township Republican Club strongly objects to this threatening behavior to Anderson businesses. We support all businesses in Anderson Township including those that may choose to show support for opponents of our Republican candidates. The Anderson Township Republican Club will not threaten our neighbors and we reject these type of tactics against our local business community. I actually wish all businesses would adopt such a policy. Anderson Twp voted for President Obama in 2012. COAST seeks out and supports candidates who fight for limited and open government and lower taxes. Andrew Pappas and Josh Gerth for Anderson Township Trustee. This race is for two seats and we heartily encourage all Anderson Township voters to support Pappas and Gerth. You can contribute to the Pappas and Gerth campaigns here and here. Michael Harlow for Northwest Schools. We encourage the voters of Colerain, Green, Ross and Springfield Townships to vote Harlow for School Board. Contribute to Michael's campaign here. Justin Binik-Thomas for Deer Park Schools. Justin, running for an open seat on the Deer Park School Board, has a long history of conservative activism. He will be a welcome addition to Deer Park's Schools. COAST will release endorsements in Cincinnati Council and other races in the coming days. There are two competing theories as to how Cincinnati's fall Mayoral and Council election will play out this year. One line of thinking holds that the City has elected the current Mayor and Council, and indeed shored up the liberal wing of Council with the 2011 elections, and thus the 2013 elections will be more of the same. Add to that thesis the fact that with added resources and name identification, most incumbents will be returned to office. The other line of thinking holds that 2013 will be a year of change for Council and the Mayorship. This is so for several reasons, including the fact that Mayor Mallory is term-limited and there is one open seat on Council. But, mostly, the compelling issues of the Cincinnati Streetcar and the Parking Plot, seem to be motivating voters to look for new candidates. Add to that the insolvency of the Cincinnati pension the annually structurally-imbalanced budgets. Finally, there are uniquely-qualified non-incumbents with good name identification and strong campaigns underway, including Amy Murray, Kevin Flynn, Melissa Wegman and David Mann. Together, these factors present a unique and compelling formulation for change. The reality will likely end up somewhere in between these two views. One, two or three non-incumbents will make it on Council, but the views of those non-incumbents on the Streetcar and Parking Plot, and the view of the new Mayor on those same issues, will color the direction of Cincinnati for the coming four to eight years. It would be a stunning rebuke of Mayor Mallory, for example, if an anti-Streetcar Mayor and just two anti-Streetcar non-incumbents ascended to Council. Instructive in this debate will be the endorsements emanating from the Enquirer, the unions, COAST and others. For example, the post below reciting the 2013 Green Party endorsements is telling. That certainly left-leaning group endorsed Cranley for Mayor, and reformer incumbent Christopher Smitherman. They endorsed Republicans Amy Murray and Melissa Wegman, and Charterite Kevin Flynn. The Fraternal Order of Police and Cincinnati Firefighter unions have similarly endorsed reform slates. Ultimately, of course, it is up to the voters and with that subject to the composition and size of the turnout what direction Cincinnati will take, but as for us we read the tea leaves as trending in 2013 towards much-needed change at City Hall. You can vote for up to 9 candidates for City Council, but the fewer people you vote for, the more powerful each vote becomes. In choosing this list of candidates, the Green Party is most concerned about the financial future of Cincinnati if the City goes bankrupt we could lose our parks and other physical assets as well as lose all city funded programs that matter to us. - We remain concerned about the financial games being played and the money being wasted to build the short OTR section of the streetcar and know that this little section will likely be the only section ever built (since there is no possibility of federal or state funding and the city doesn’t have the money for it either), so it is just a waste of money and will give real mass transit a bad name plus will financially hurt the bus system. - We think that the city’s parking system can best be managed by the City employees without sending a huge cut of the profits from parking to the Port Authority &/or other outside investors. - The Democrats who have been running Cincinnati for the past generation have tried to bring us the “trash tax,” red light cameras to produce revenue, to transfer our police department services to the County and in general have been supporting the sale of public assets &/or privatizing public services. The Green Party has been working with the NAACP, COAST and other groups to prevent these negative actions from taking place over the past several years. The candidates we suggest have shown the best record for opposing these actions and will give our best chance to take positive actions to secure the financial future of Cincinnati. It was already one of the most poorly-conceived business deals in the history of our fine City, and today we learned that the Parking Plot is another $7 $21 million worse* than the Administration and Mayor Mallory promised. At the inception of the transaction, City voters were told the Parking Plot would yield $92 million to prevent police and fire layoffs, build a downtown condominium and grocery store, build the Martin Luther King exchange on I-71, and otherwise generally prove to be the salvation of the City. Then, we learned that all of these capital projects could and would go forward without the Parking Plot monies, and we had enough money to avoid police and fire layoffs after all. (Indeed, later a budget surplus magically appeared.) Then, we learned that of the $92 million, fully one-third had been promised to the Port Authority to be the City's business partner in the transaction. That reduced the City's take to just $65 million. Now, today, the Enquirer reports, the Parking Plot is going to yield $7 million less than promised. This is so because since the initial projections, the City's bond rating has fallen (due to City Council's irresponsible fiscal policies), interest rates have risen, and parking revenues have been cut due to reduced enforcement hours. As with the Streetcar, the question for this Council is: When does the deal become so bad that it ought to be abandoned? Their answer, very simply, absolutely never. There is no set of circumstances on the Streetcar or on the Parking Plot that would call for them to change direction on the deal. Once it was announced, it was always intended to be pushed forward. So it is and so it will be until the voters implement a change at City Hall. COAST, the Coalition Opposed to Additional Spending and Taxes, is pleased to announce successes in two recent campaigns against improper expenditures and campaigning using public resources. First, City Councilman Chris Seelbach announced his decision to refund the City for the illegal payments made on his behalf for travel and hotel expenses to Washington for a personal award. Seelbach, running for reelection recognized that getting caught with your hand in the cookie jar is not the best campaign strategy. "We are pleased with the result. We are even more pleased that we were able to accomplish this for the Taxpayers without the protracted litigation that Cincinnati's City Solicitor clearly intended," said COAST Chairman Tom Brinkman, Jr. In COAST's second victory, the Public LIbrary of Cincinnati and Hamilton County agreed to remove political materials advocating support for a tax levy on the November ballot. COAST discovered that the library was coordinating with a political committee to distribute their materials within the libraries. A clear violation of the law and public trust. A short exchange of letters with COAST resulted in the removal of the campaign materials. Again, COAST Chairman Tom Brinkman is pleased that the library acted without necessitating litigation, "It would seem that our public officials are finally learning to take our demands for accountability and a level political playing field seriously. We hope this is the beginning of a trend." By contrast, past cases with the City of Cincinnati resulted in protracted and expensive litigation. In a case similar to the Seelbach case, Laure Quinlivan was found using public resources to advance her campaign. Rather than immediately cease the illegal activity and reimburse the City, Quinlivan and the City Solicitor fought to protect and defend what was clearly illegal. Resulting in unnecessary legal costs which were ultimately borne by Cincinnati Taxpayers. Likewise the City Hall Lobby Case is similar to the Library case. Rather than engage in wasteful legal maneuvering as the City did for five years (and continue now with their latest appeal); the Library recognized their error and corrected it immediately. Apparently for the City Solicitor, there really is a lot to learn at the Library. Essentially, working with COAST rather than against COAST; Chris Seelbach and the Library did for free what the City Solicitor's office charged the City taxpayers over half a million dollars to do. This is the sort of collaborative approach we hope to see more of from our public officials. When COAST learned of the practice in the Kings Local School District, we were almost speechless. School administrators solicit funds from teachers -- their employees -- to fund levy campaigns through payroll deductions. It's called a "shakedown," and it's expressly prohibited by Ohio law. Yet, when the Enquirer investigated the practice, they found that nine local school districts engage in the practice -- Kings, Mason, Fairfield, Middletown, Loveland, Madeira, Mariemont, Reading and West Clermont, absolutely unapologetically. Read about it here. It's hair-curling. Congratulations to Congressmen Steve Chabot (OH-01) and Brad Wenstrup (OH-02). Both score 100% on the Americans for Prosperity Scorecard for the 113th Congress. Use these links to send Chabot and Wenstrup your thanks and congratulations. Or Tweet your thanks using this link. Today Opportunity Ohio released an innovative levy calculator that allows Ohioans to calculate their estimated increase in property taxes should a levy pass in their district. To get their estimated property tax increases, users simply select their school districts, input their estimated home values, and the millage of the levies. In conjunction with the estimated tax increase amount, each school district search returns easy to understand charts and other important fiscal data that will educate citizens on how their district manages taxpayer resources. The tool provides both an historical picture of fiscal management from 2001 to 2012 and future projections based on each district’s five-year forecast. In addition to the new levy tool, Opportunity Ohio released K-12 salary data for the 2012-2013 school year last Friday. Opportunity Ohio’s website contains teacher salary data as far back as 2004. With employee compensation swallowing most of school budgets, together the two tools provide taxpayers a comprehensive method to track school finances. Additionally, state worker salary data in Ohio is available from 2003 to 2012, as part of Opportunity Ohio’s government fiscal transparency project. All data tools and other resources can be found at www.opportunityohio.org. Recently COAST became aware that the public library was distributing campaign materials on behalf of the pro-tax levy committee. In response COAST requested the library provide equal access to our materials advocating against the tax. As a result of our letter, Library Director Kim Fender removed the political materials from display and ceased distributing the materials. Our initial review shows that indeed the offending materials have been removed. We will continue to monitor their compliance. It is also important to note that victory was achieved without having to resort to the sort of protracted, scorched earth litigation which Cincinnati City agencies seem so insistent upon. Obviously our message is resonating and Hamilton County agencies, at least, understand that COAST does not engage in frivolous campaigns. When we make a demand of a public agency, we intend to see it through. We are thrilled that public agencies are starting to "Get it" and realize that COAST is serious about stopping the abuse of taxpayer resources for political purposes. It is an affront to our system of government to allow public agencies to use taxpayer resources to influence an election - particularly on the issue of funding that very agency. COAST is first and foremost a public watchdog. We see a politician with his or her hand in the cookie jar, we set off the alarm bells. And we use every arrow in our quiver to stop it. This Summer Chris Seelbach used public funds to reimburse himself for a trip to DC to receive a personal honor. COAST alerted the City Solicitor and the public. The City Solicitor refused to act and COAST was preparing to once again do the City Solicitor's job for him. Fortunately, public shame got the better of Mr. Seelbach. He announced that he has paid back the city for the illegal benefit. Thus eliminating the need for further legal action. Just a few years ago, this issue would have ended up in the courtroom. No doubt resulting in protracted litigation owing to a take no prisoners attitude in the City Solicitor's office. This is closer to how it is supposed to work. Ideally, there would be no wrongdoers to catch; and when they were caught the City Solicitor would do his job; but here at least the properly shamed public servant, acknowledged his error and repaid the ill gotten gain. Is Seelbach to be celebrated? Do we honor the arsonist for helping to put out the fire? Of course not. But at least it is slightly less odious than the alternative: a fight to the death over a petty official's classless abuse of the office and a City Solicitor's office that views itself as the hired muscle of the city administration rather than another set of public servants meant to protect the public trust. But, perhaps we are seeing that the politically powerful are beginning to get the message that taking that illegal benefit will no longer be tolerated. We call that progress. Seelbach used his sudden moment of clarity to once again attempt to fundraise off COAST, suggesting that our efforts to protect the City's purse is motivated by personal hatred. Let us be perfectly clear, we oppose the abuse of the taxpayer and self-dealing by public officials of all stripes. COAST discovered and stopped Sheriff Leis' misuse of public dollars in campaigning for the Jail Tax. COAST discovered and stopped Laure Quinlivan's illegal campaigning from City Hall. We don't target individuals based on their personal lives; our focus is solely on the official actions of those who hold power. Mr. Seelbach's allegations are offensive and poison the political atmosphere. Cincinnati's voters, and your supporters, deserve better. As we reflect on the eight years of the mayorship of Mark Mallory, a curious feeling comes over us, wondering why progress was stunted, promised initiatives never materialized, and long-festering problems metastized. In last night's Mayoral debate, the answer came into clearer view: The promises and stated priorities of the Mayor were a lie. For example, Mark Mallory repeatedly committed to pursue shared services with the County and other jurisdictions to achieve cost savings. This was a priority of Tom Williams and the Cincinnati Business Community. It was a priority of County Commissioner Greg Hartmann. And the Mayor repeatedly claimed to be completely on board with the entirely common-sense notion of saving money through shared servies to bring dividends to the taxpayers. Read it in the Enquirer, here. And, if that was so, what did Qualls do to break that logjam, and force the issue at Council? Well, precisely nothing. How's that for leadership? So, we have a choice in November, more prevarications, trips down blind alleys, and lies about community priorities, or balzing a new trail for Cincinnati?